Sharon Oyakhilome has continued to share more photos and videos from her white/church wedding to Phillip Frimpong. 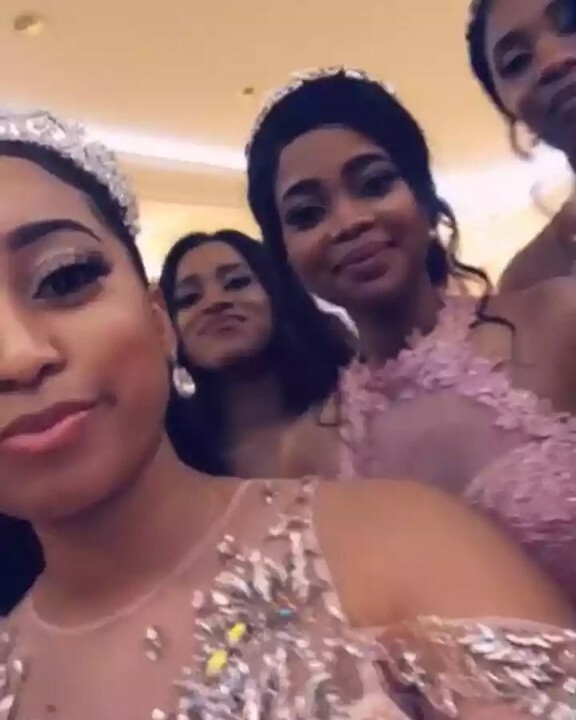 Since her mother was unequivocally absent, many were wondering if her younger sister, Charlyn Oyakhilome, was also absent. 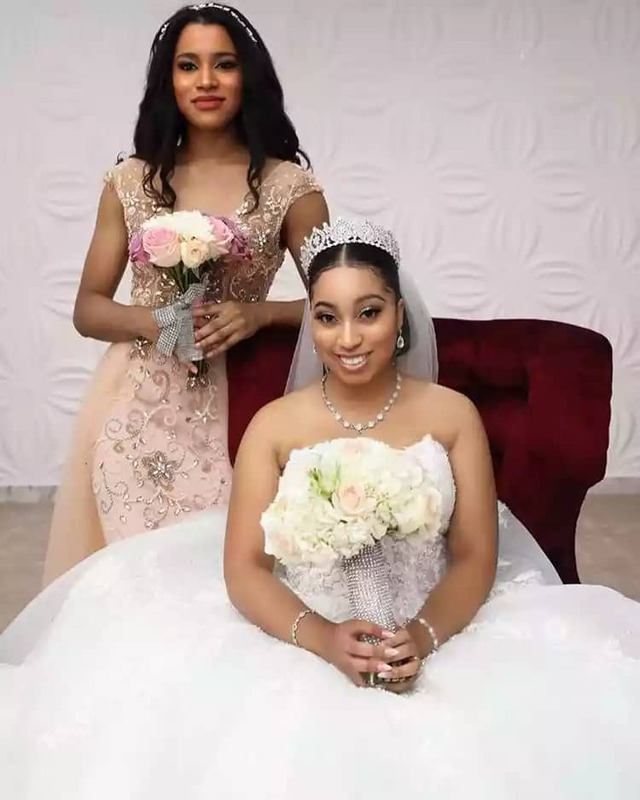 But Mrs Frimpong just shared adorable pictures of her sister, who is Pastor Chris Oyakhilome’s lookalike, as her Chief Bridesmaid. She also shared photos with her beautiful bridesmaids. My sis was the real MVP!!! And shoutout to my bridesmaids – they really came through love you all.